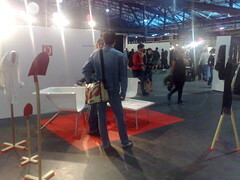 Once the small yet distinguished exhibition DMY Youngsters has now evolved into the DMY International Design Festival Berlin. Meanwhile one of the main components of the big event, the DMY Youngsters represent young and experimental projects by national and international up-and-coming designers. Taking place in the historically saturated atmosphere of the 2.000 square meters of the Arena Berlin (built in 1926), the exhibition gains an increasingly international character and has become the most relevant platform for young design in Europe. Emergent designers and young design studios from Europe to Asia and Australia as well as design academies from The Netherlands, England, Czech Republic, Sweden and Germany present their current projects and prototypes, giving insight into the latest developments in the field of design. You will be notified about changes in lineup or when similar items and events are added. = 1 people attending + add yours? A specialized bookstore in design, architecture, photography. Opened Monday to Saturday 11 to 20. DMY opening night by zero"
Presented his bathroom furniture at DMY Youngsters âÂ dissected cut up bathtubs, sinks, showers used as living room furniture. 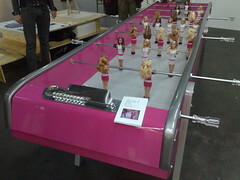 Chloe Ruchon presented her "Barbie Foot" at DMY Youngsters âÂ a kicker made with barbie dolls. 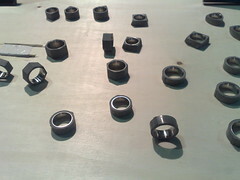 22designstudio presented their jewelry made of concrete at DMY Youngsters 2009. It responds to omni-presence of concrete in Taiwan and attempts to create a more refined version of it, that could even be wearable.